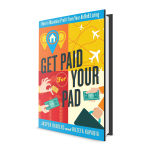 Today is a big day for me as I’m launching my first ever book on Amazon: Get Paid For Your Pad – How To Maximize Profits From Your Airbnb Listing. To promote the launch, the book will be available for FREE in the next three days! The goal is to make the book an Amazon best seller in several categories. And you can help! All you need to do is download the book for free. We’re throwing in the audio version of the book as well! 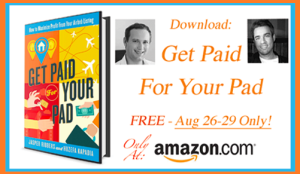 The way Amazon works nowadays is that you can publish a book in Kindle format on their platform and give it away free for a few days to promote the launch. 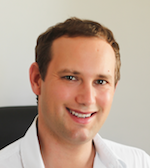 Every download of the free book counts as a “sale” and helps move the book up the charts. Are you in? 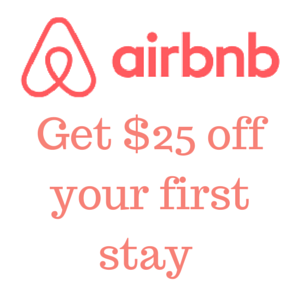 There’s really no catch and definitely no cost, plus you’ll learn how I made over 6-figures in the last two years renting my apartment on Airbnb while traveling the world full-time. Thanks a million and let me know your thoughts!